Nickelodeon’s Renford Rejects was essential viewing for any football-obsessed kid in the late 90s. Featuring an excellent cast of five-a-side misfits taking to the pitch at Renford Borough Park each week, it’s fondly remembered by anyone who grew up watching it. It even managed to get regular cameo appearances from the Premier League’s biggest stars and older icons of the game. The former West Ham and Newcastle goalkeeper has become a decent broadcaster on ESPN since retiring from football. His practice at public speaking at the Renford Sports Personality awards was a bit more difficult. Nobody has made more caps for England than Shilton. But were any of his 125 international appearances as good as the one here? Hard to say. Almost two decades before his turn in I’m A Celebrity, Harry Redknapp first demonstrated his TV chops with Nickelodeon’s finest. Members of the 1966 World Cup winning England squad appeared in an all-time classic as ‘Renford Old Boys’. Queens Park Rangers’ best ever player rolled back the years when he took to the Loftus Road pitch alongside the Rejects’ own Jason Summerbee. 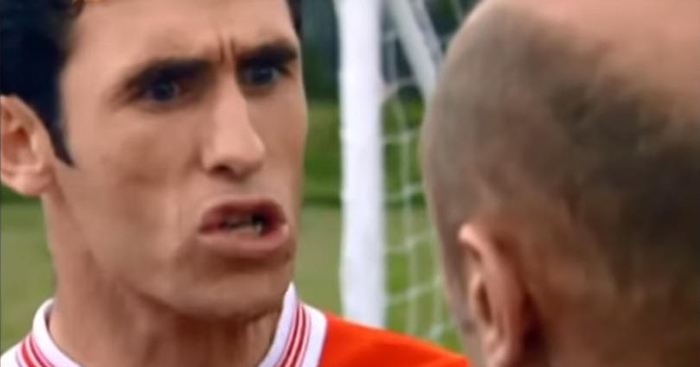 The pair of veteran broadcasters might have been synonymous with ITV’s early Champions League coverage, but nothing can match their regular appearances on Renford Rejects’ iconic VTV. The Arsenal and Chelsea were brought in to play against one another for opposing sides and played on their reputations beautifully. Zola became a bruising bully while Keown turned into a skillful artist. What’s the highlight of Roberto Di Matteo’s career? Winning the Champions League as Chelsea manager, or appearing as a special guest at the 2001 Renford Sports Personality awards? Who’s to say.